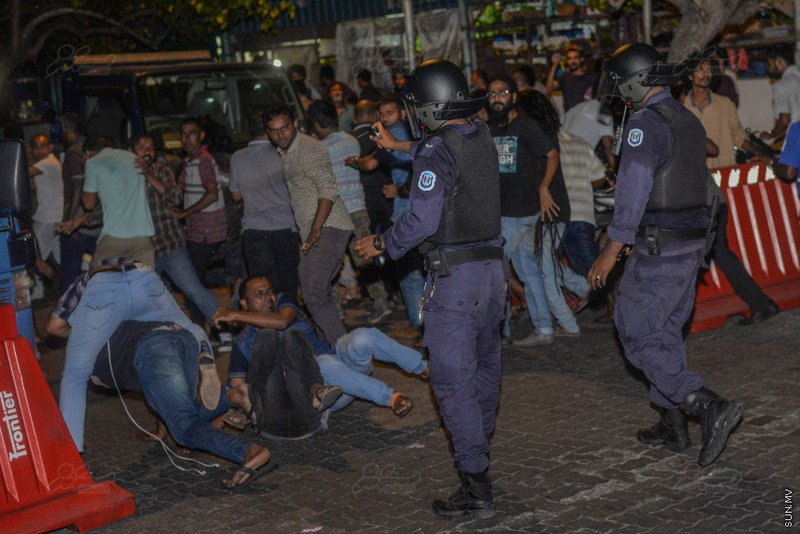 Total 139 people arrested from the opposition’s protest in Male’ City last Friday night remain in police custody, says Police Spokesperson, Superintendent of Police Ahmed Shifan. Shifan said total 141 people were arrested from Friday’s protest, and that 139 people remain in custody; 113 men and 26 women. Leader of opposition, Maldivian Democratic Party (MDP)’s parliamentary group, Hinnavaru MP Ibrahim Mohamed Solih (Ibu) and three RajjeTV reporters were also arrested.